Repeatedly brighten your partner’s day by gifting them this etched travel cup, the ‘Hot Contents’ design is sure to bring a smile to their face. 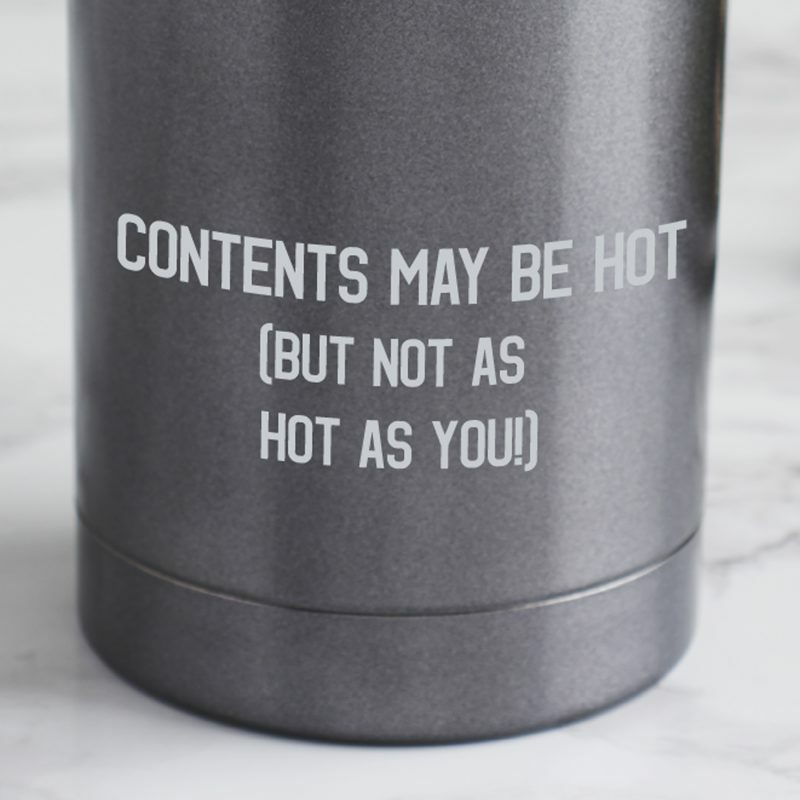 The design featured reads, ‘CONTENTS MAY BE HOT (BUT NOT AS HOT AS YOU)’ but you can get creative and personalise the entire design. 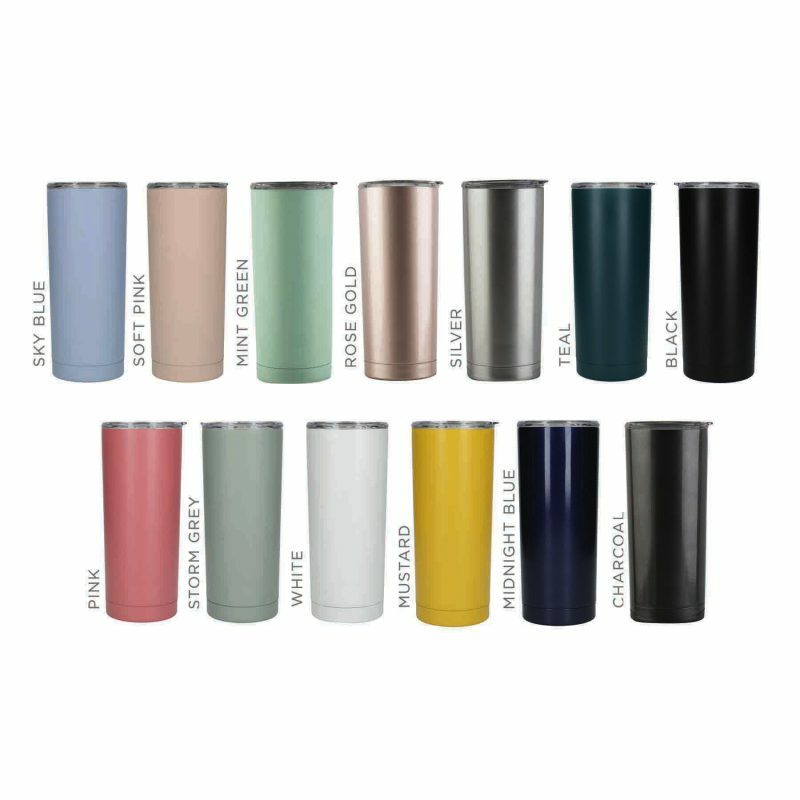 The travel cup is perfect for busy people who are always on the go. It’s ideal for travelling, the office or university. 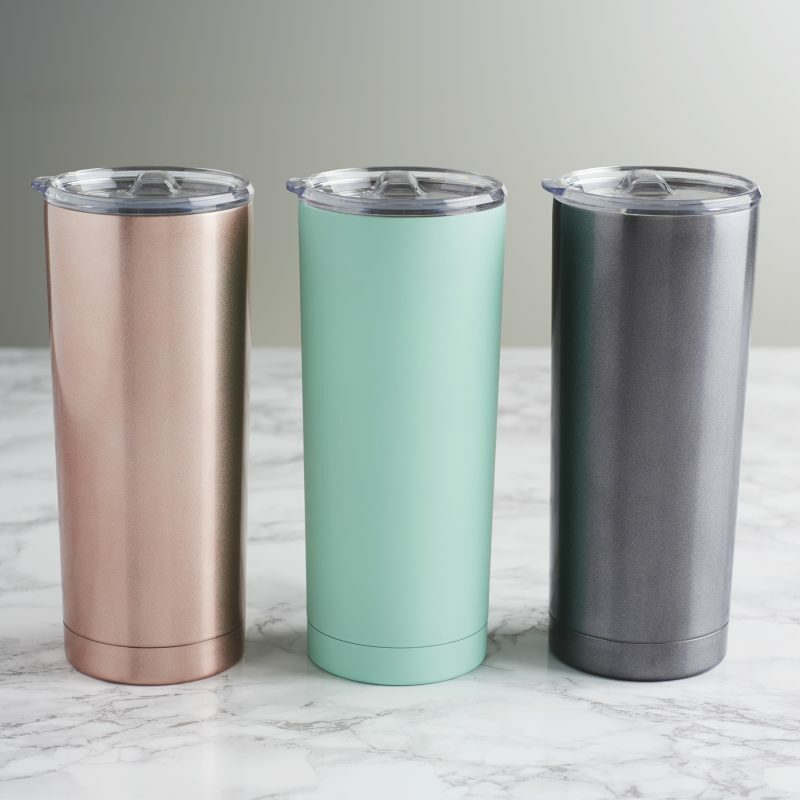 The stylish and useful gift has a double-walled design to keep both hot and cold drinks at optimum for longer. 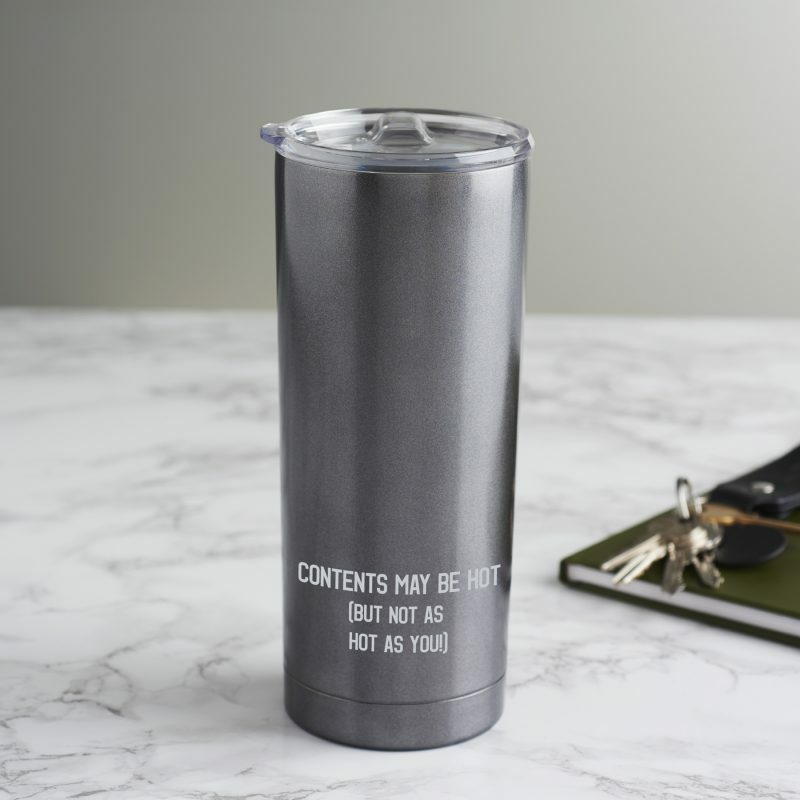 The cup keeps hot drinks hot for up to four hours and cold drinks cool for eight hours. Totally personalise the gift by choosing the colour which best matches the recipient from the drop-down menu. Enter up to twenty uppercase characters for each of the three lines on the cup. Please note that character limit includes spacing and punctuation. Please be sure to double check your personalisation is correct as we will etch exactly what you enter. As standard, the travel cup comes wrapped in bubble wrap and is sent in a bespoke postal box.